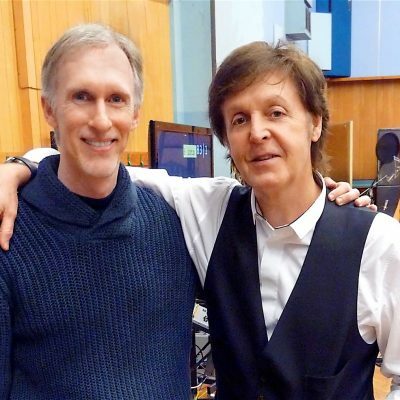 Mark McKenzie: Today brings memories of working with this inspiring man at Abbey Road exactly 4 years ago. During our conversation, he sang some impromptu jazz riffs he had audiences sing on his concert tour. That same voice that sang “Hey Jude” and “Yesterday” close up was surreal and moving. In the early 1960s he said he studied avant-guarde composers and recorded similar orchestral effects in that same room for Sgt. Pepper’s “A Day in the Life.” He shared the excitement he and his daughter had discovering in the vaults of the British Library a cabinet of Beatles manuscripts right next to original manuscripts of Wordsworth and Keats. The topic of Michael Jackson came up and he said he got a call one night: “Hi Paul, this is Michael.” Not knowing who it was, Paul paused and said: “Michael who? ?” Paul didn’t have any hint of self importance other than there was a videographer filming him constantly maybe in part to protect him from lawsuits. I asked if he’d mind a picture. 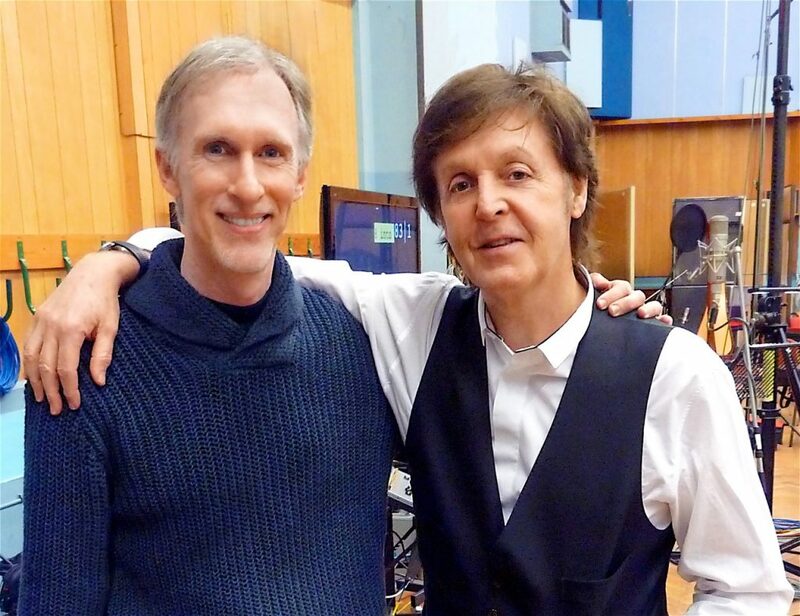 He said “sure” and my two hugely talented composer friends Marty O’Donnell and Michael Salvatori mocked “How do you rate?” Joking, I said, “Me and Paul are buds” and Paul put his arm around me and said: “Yeah, we’re mates!” I asked Paul how it felt to have such a legacy. He said during the Kennedy Center Honors in Washington DC he kept asking himself, “Is this really me they’re talking about?” Some mornings he gets up and says to himself, “You did pretty good getting into that band called the Beatles!” Thank you Sir Paul for the music.